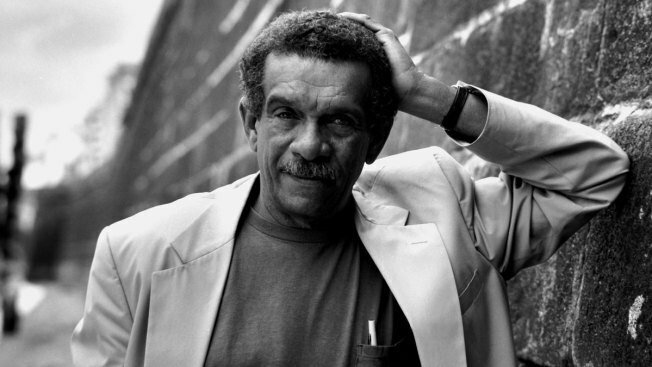 Derek Walcott, a Nobel-prize winning poet known for capturing the essence of his native Caribbean, has died on the island of St. Lucia. He was 87. Walcott's death in the eastern Caribbean nation was first confirmed early Friday by his son, Peter. "Derek Alton Walcott, poet, playwright, and painter died peacefully today, Friday 17th March, 2017, at his home in Cap Estate, Saint Lucia," read a family statement released later in the morning. It said the funeral would be held in St. Lucia and details would be announced shortly. The prolific and versatile poet received the Nobel Prize in literature in 1992 after being shortlisted for the honor for many years. In selecting Walcott, the academy cited the great luminosity" of his writings including the 1990 "Omeros," a 64-chapter Caribbean epic it praised as "majestic." "In him, West Indian culture has found its great poet," said the Swedish academy in awarding the $1.2 million prize to Walcott. Walcott, who was of African, Dutch and English ancestry, said his writing reflected the "very rich and complicated experience" of life in the Caribbean. His dazzling, painterly work earned him a reputation as one of the greatest writers of the second half of the 20th century. With passions ranging from watercolor painting to teaching to theater, Walcott's work was widely praised for its depth and bold use of metaphor, and its mix of sensuousness and technical prowess. He compared his feeling for poetry to a religious avocation. Soviet exile poet Joseph Brodsky, who won the Nobel literature prize in 1987, once complained that some critics relegated Walcott to regional status because of "an unwillingness ... to admit that the great poet of the English language is a black man." Walcott himself proudly celebrated his role as a Caribbean writer. "I am primarily, absolutely a Caribbean writer," he once said during a 1985 interview published in The Paris Review. "The English language is nobody's special property. It is the property of the imagination: it is the property of the language itself. I have never felt inhibited in trying to write as well as the greatest English poets." Walcott was born in St. Lucia's capital of Castries on Jan. 23, 1930 to a Methodist schoolteacher mother and a civil servant father, an aspiring artist who died when Walcott and his twin brother, Roderick, were babies. His mother, Alix, instilled the love of language in her children, often reciting Shakespeare and reading aloud other classics of English literature. In his autobiographical essay, "What the Twilight Says," he wrote: "Both the patois of the street and the language of the classroom hid the elation of discovery. If there was nothing, there was everything to be made. With this prodigious ambition one began." Walcott once described straddling "two worlds" during his childhood in St. Lucia, then a sleepy outpost of the British empire. "Colonials, we began with this malarial enervation: that nothing could ever be built among these rotting shacks, barefooted backyards and moulting shingles; that being poor, we already had the theater of our lives. In that simple schizophrenic boyhood one could lead two lives: the interior life of poetry, and the outward life of action and dialect," he wrote. Early on, he struggled with questions of race and his passion for British poetry, describing it as a "wrestling contradiction of being white in mind and black in body, as if the flesh were coal from which the spirit like tormented smoke writhed to escape." But he overcame that inner struggle, writing: "Once we have lost our wish to be white, we develop a longing to become black." 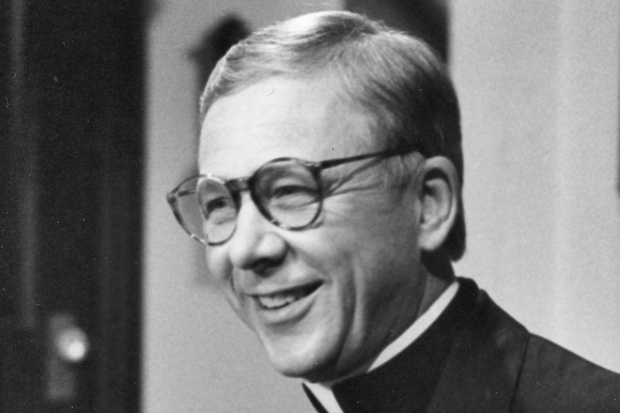 At the age of 14, he published his first work, a 44-line poem called "1944," in a local newspaper. About four years later, while still in his teens, he self-published a collection of 25 poems. At 20, his play "Henri Christophe" was produced by an arts guild he co-founded. He left St. Lucia to immerse himself in literature at Jamaica's University College of the West Indies. In the 1950s, he studied in New York and founded a theater in Trinidad's Port-of-Spain, a Caribbean capital he mentioned with great warmth during his Nobel lecture in 1992. Walcott's treatment of the Caribbean was always passionate but unsentimental. In his 1979 work about Jamaica, "The Star-Apple Kingdom," he wrote of the "groom, the cattleboy, the housemaid ... the good Negroes down in the village, their mouths in the locked jaw of a silent scream." For much of his life, Walcott, who taught at Boston University for many years, divided his time between the United States and the Caribbean, and the exile of millions of Caribbean citizens who have left the region in search of a better life is another frequent theme in his works. Although he was best known for his poetry, Walcott was also a prolific playwright, penning some 40 plays, including "Dream on Monkey Mountain" and "The Last Carnival," and founding theaters such as the Boston Playwrights' Theatre. British writer Robert Graves said in 1984 that Walcott handled "English with a closer understanding of its inner magic than most — if not any — of his English-born contemporaries." Not all his work was met with accolades. He collaborated with American pop star Paul Simon to write "The Capeman" story, which became a Broadway musical in 1997 and quickly became a major flop, closing less than two months into its run and getting panned by critics. His reputation was weakened by sexual harassment allegations made against him at Harvard and Boston universities in the 1980s and 1990s. He retired from teaching at Boston University in 2007 and spent more of his time in St. Lucia.